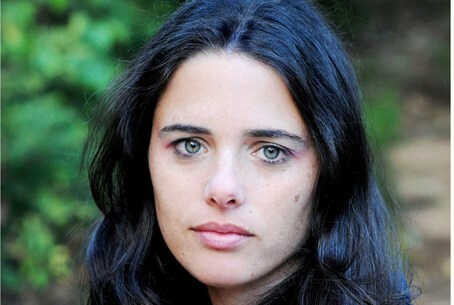 Bayit Yehudi MK Ayelet Shaked has released a scathing open letter to US Secretary of State John Kerry, for pushing the Israeli government to release convicted terrorist murderers. "In light of the current situation that you have brought about, I feel that I cannot be bound by the restraints of 'politically correct' wording, and I therefore will allow myself to convey my following message to you in the most straightforward fashion." "By forcing Israel to capitulate to terrorism by releasing murdering terrorists with so much blood on their hands that the US would never dream of releasing if it was their own citizens murdered – you are not only being extremely hypocritical, but are actually dabbling in experimentation and gambling, by putting me and my children's lives at risk,"
Shaked also attacked the US administration for forcing Israel to release convicted murderers, whilst keeping former Israeli agent Jonathan Pollard in jail. "You forcing us to release terrorists with blood on their hands is made all the more absurd, cynical and vicious by the fact that your country refuses to this day to release Jonathan Pollard from jail, despite the unprecedented term he has served thusfar," she wrote. "Mr. Secretary: the price of releasing over a hundred convicted murderers will be borne by my family and my people, not by you." she continued, asking "How will you carry the burden of the terrible price toward which you are leading us?" By "raising expectations to a dangerous level" in this way, Kerry is threatening "to cause the whole region to spin out of control," she claimed. Shaked ended the letter with a word of "advice" for the US Secretary of State.